10 foods to boost your brainpower! There really isn’t one single ‘brain food’ that can protect against age-related disorders such as Alzheimers’or dementia, and there are many other medical conditions that can affect the brain. So, paying attention to what you eat gives you the best chance of getting all the nutrients you need for cognitive health. Eating a healthy, balanced diet that includes these 10 brain-boosting foods may help to keep your memory, concentration and focus as sharp as it can be. Essential fatty acids (EFAs) cannot be made by the body which means they must be obtained through diet. The most effective omega-3 fats occur naturally in oily fish in the form of EPA and DHA. Good plant sources include linseed (flaxseed), soya beans, pumpkin seeds, walnuts and their oils. These fats are important for healthy brain function, the heart, joints and our general wellbeing. What makes oily fish so good is that they contain the active form of these fats, EPA and DHA, in a ready-made form, which enables the body to use it easily. The main sources of oily fish include salmon, trout, mackerel, herring, sardines, pilchards and kippers. Low DHA levels have been linked to an increased risk of dementia, Alzheimer’s disease and memory loss, while having sufficient levels of both EPA and DHA is thought to help us manage stress and helps make the good mood brain chemical, serotonin. If you’re vegetarian or vegan, you may wish to add seeds like linseed and chia to your diet, or consider a plant-based omega-3 supplement. If you are considering taking a supplement speak to your GP first. There is good evidence to suggest that lycopene, a powerful antioxidant found in tomatoes, could help protect against the kind of free radical damage to cells which occurs in the development of dementia, particularly Alzheimer’s. Favour cooked tomatoes and enjoy with a little olive oil to optimise absorption and efficacy. Certain B vitamins – B6, B12 and folic acid – are known to reduce levels of a compound called homocysteine in the blood. Elevated levels of homocysteine are associated with increased risk of stroke, cognitive impairment and Alzheimer’s disease. A study of a group of elderly patients with mild cognitive impairment found that after two years of intervention with high doses of B6, B12 and folic acid there was significantly less brain shrinkage compared to a subset given placebo treatment. Opt for B-rich foods like eggs, chicken, fish and leafy greens. 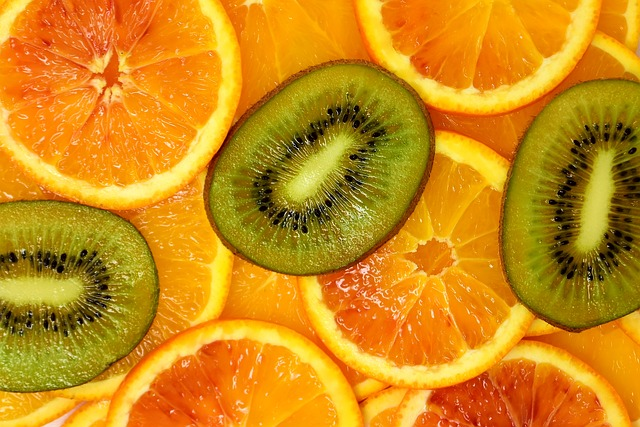 Vitamin C has long been thought to have the power to increase mental agility, and some research suggests that a deficiency may be a risk factor for age-related brain degeneration including dementia and Alzheimer’s. Furthermore, interesting studies demonstrate that vitamin C may be useful in managing anxiety and stress. One of the best sources of this vital vitamin are blackcurrants. Others include red peppers, citrus fruits such as oranges and broccoli. Richer in zinc than many other seeds, pumpkin seeds supply this valuable mineral which is vital for enhancing memory and thinking skills. These little seeds are also full of stress-busting magnesium, B vitamins and tryptophan, the precursor to the good mood chemical serotonin. Broccoli is great source of vitamin K, which is known to enhance cognitive function and improve brainpower. Researchers have reported that because broccoli is high in compounds called glucosinolates, it can slow the breakdown of the neurotransmitter, acetylcholine, which we need for the central nervous system to perform properly and to keep our brains and our memories sharp. Low levels of acetylcholine are associated with Alzheimer’s. Sage has long had a reputation for improving memory and concentration. Although most studies focus on sage as an essential oil, it could be worth adding fresh sage to your diet too. Add at the end of cooking to protect the beneficial oils. A study published in the American Journal of Epidemiology suggests that a good intake of vitamin E might help to prevent cognitive decline, particularly in the elderly. Nuts are a great source of vitamin E along with leafy green vegetables, asparagus, olives, seeds, eggs, brown rice and wholegrains. This article was last reviewed on 17th July 2017 by nutritional therapist Kerry Torrens. A registered Nutritional Therapist, Kerry Torrens is a contributing author to a number of nutritional and cookery publications including BBC Good Food magazine. Kerry is a member of the The Royal Society of Medicine, Complementary and Natural Healthcare Council (CNHC), British Association for Applied Nutrition and Nutritional Therapy (BANT).